I cannot let go of my crush! 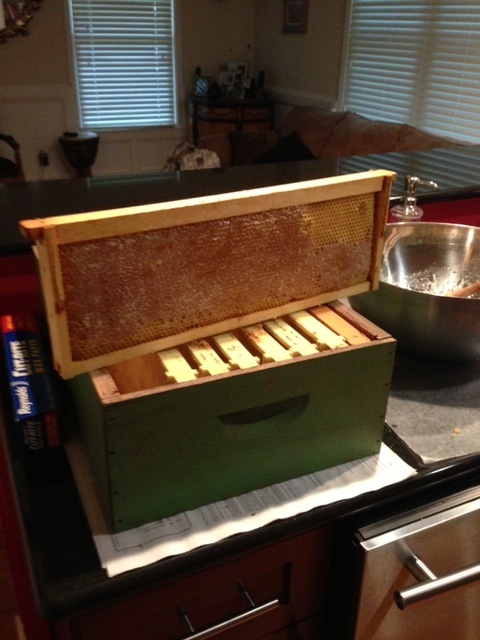 After harvesting this year’s honey, I thought I would end my relationship with my honeybees. 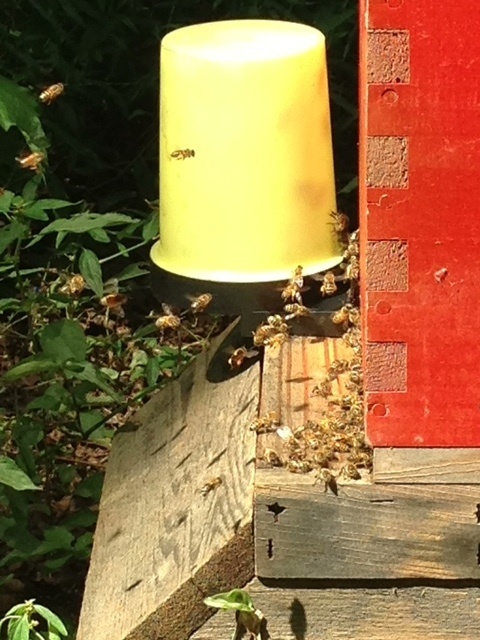 Grabbing the mostly filled honey super– I left my bee yard as if I would never return. As far as I was concerned, they were on their own. What ever will be, will bee. I thought if they make it through this winter and simply leave when spring 2014 arrives, I would be totally okay with it. Bye Bye bees!!! 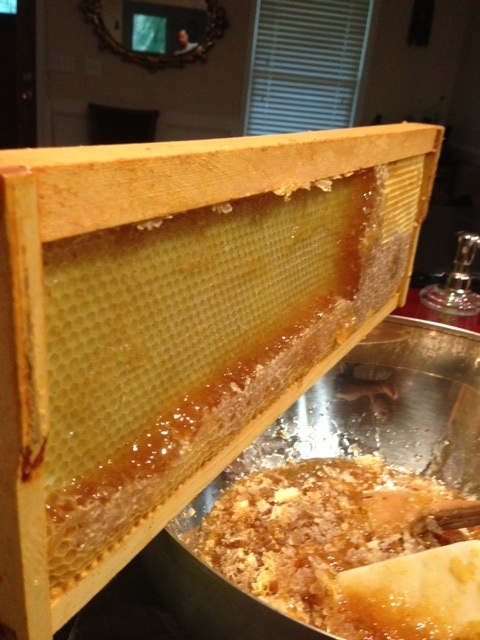 I began removing the bees with “bee quick” and once all bees were removed, I took the honey super into the house and began processing my all natural organic honey. I do not own a honey extractor, so I had to scrape the wax and honey from each frame and crush it the good ole fashioned way. Stainless steel bowl, wooden spoon, rubber spatula, three filters, and bucket with spout. 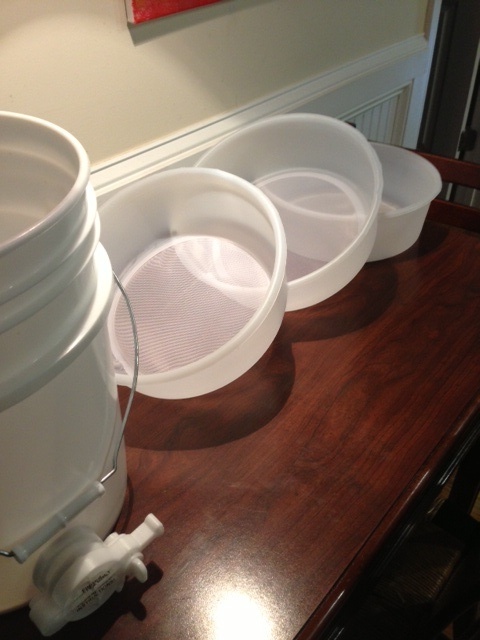 Bucket with 3 filters that fit on top. 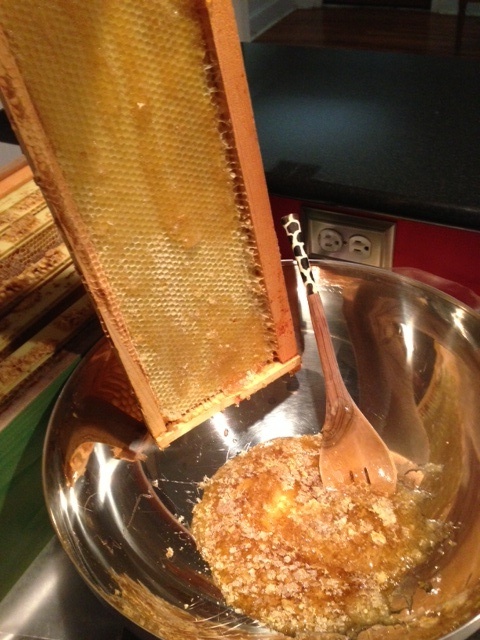 Begin scraping capped honey from each frame into the bowl. Scrape all contents into bowl. 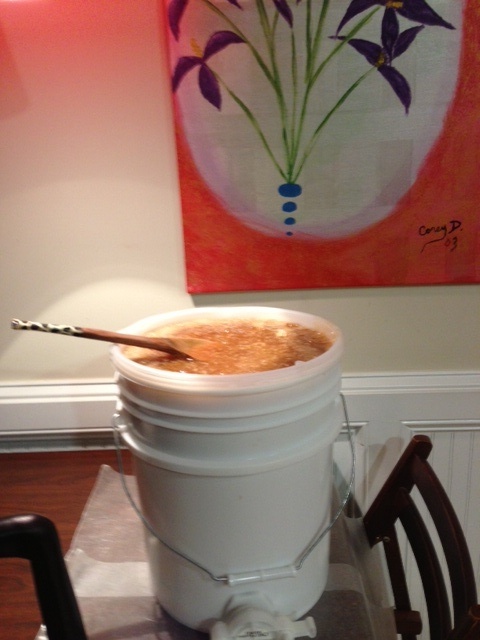 Pour crushed honey and wax in filters in bucket. Well, after tasting this wonderful stuff I had a change of heart! I know what’s in my honey when I harvest it myself. I know where it comes from–my backyard! I’m not sure where store bought honey comes from, what’s in it, and how it was processed. So, I am not going to let my bees go, they are just too sweet! After all, I use this stuff in my night time yogurt before bed! I use it on my toast! I cannot let go of this sweetness not even if I try! Thus, I’m feeding them now to ensure that they have enough food stored up to get them through the winter! 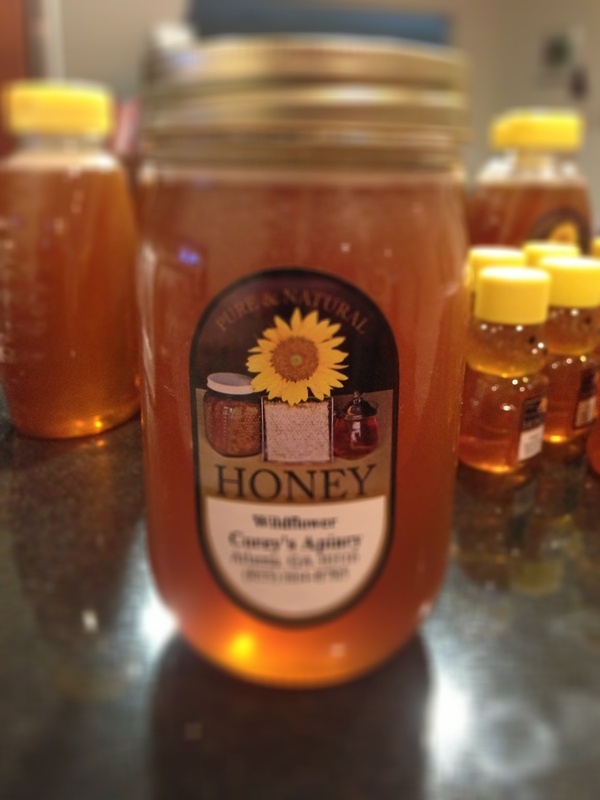 I hope to report in 2014 that I still have a crush on my honeybees and their sweet honey! Feeding the bees sugar water mixture. ← No Hive Beetle Infestations This Year!!! Glad to hear you plan on keeping the bees. It seems like the new location and changes to colony management are working. Hang in there! I am looking to start a hive as soon as I get back to Florida. I’m a military vet that is getting into organic foods such as growing my own produce in a TowerGarden. Hope to find someone to mentor me in bee keeping in the next yr or so. Thanks for stopping by. You will probably want to find out where your local beekeepers meet. Most clubs have intro classes for aspiring beekeepers. Good luck!